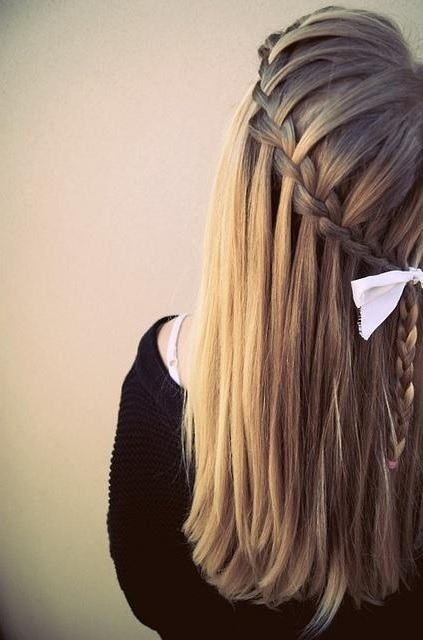 With summer on the horizon, waterfall braiding is a cute, fun way to keep your locks out of your face. Here’s a simple tutorial for the style, effortlessly moving you from beach to boardwalk. 1) Brush out your hair and part it naturally. Starting on one side, take a small section of hair from the front and separate it into three parts. 2) Start braiding as if you are going to begin a French braid (by crossing the right piece over the center, then crossing the left piece over the center), but when you have finished crossing both sides, drop the bottom section and let it hang. 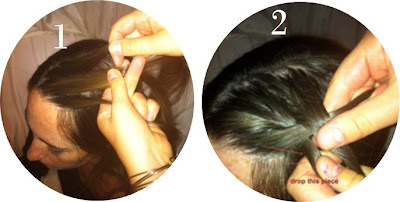 3) Cross the right piece over again, adding hair from the top like in a French braid. 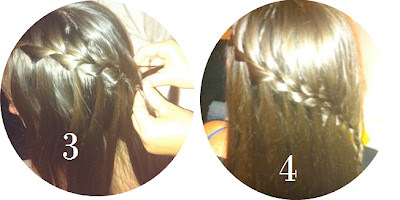 Gather a new section of hair from the bottom to add to the braid from the left and cross it over the center. Again, drop the bottom section. 4) Repeat the process of gathering, crossing and dropping the bottom section until you’ve wrapped around to the other side of the head. 5) Finish the braid off until the bottom and secure with an elastic band.